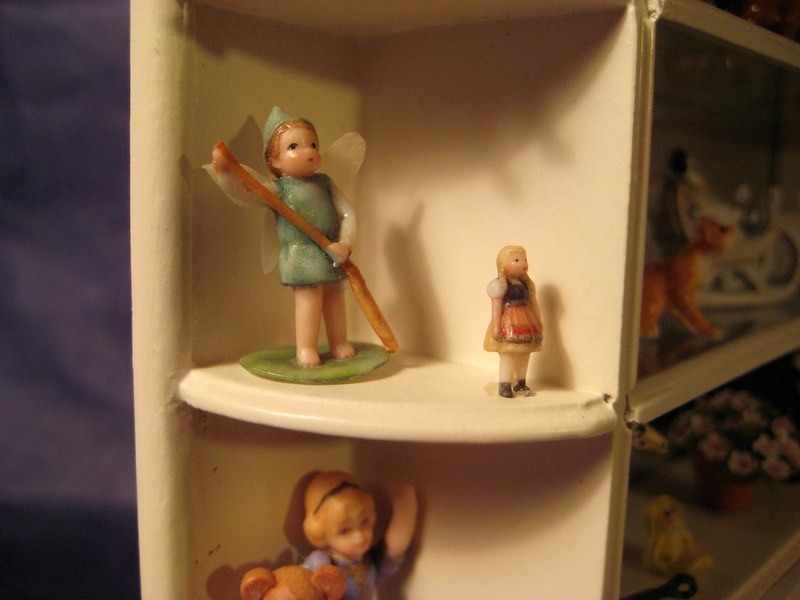 There is a miniature doll/toy shop that lives on a shelf in my dining room. 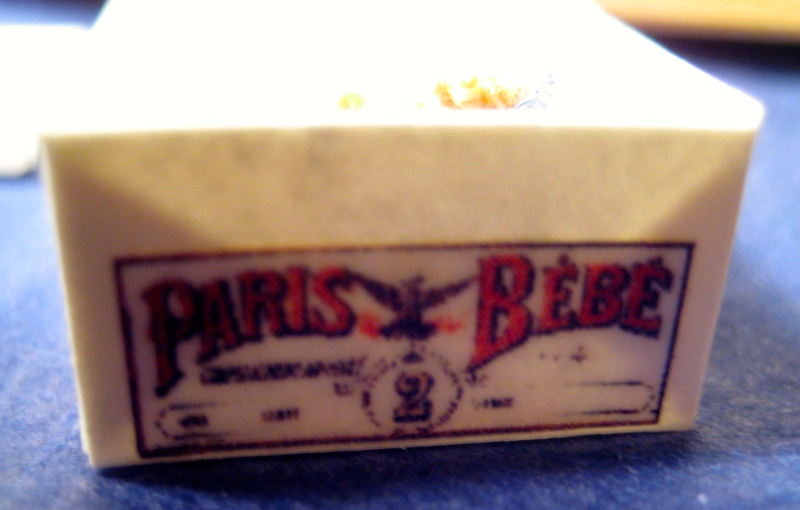 Many years ago, I purchased a set of 8 wooden plate chargers that I was going to paint and decorate for dinner parties. I still own 8 unfinished chargers. One of them lives under this display. Just click on any of the pictures to enlarge them. 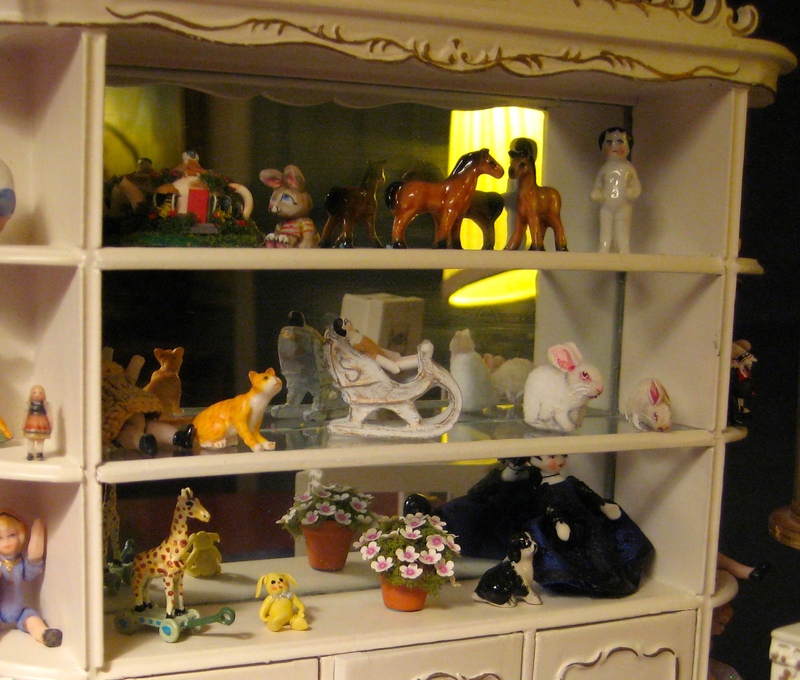 At the back, there’s a hutch that holds tiny dolls, animals and flowers. 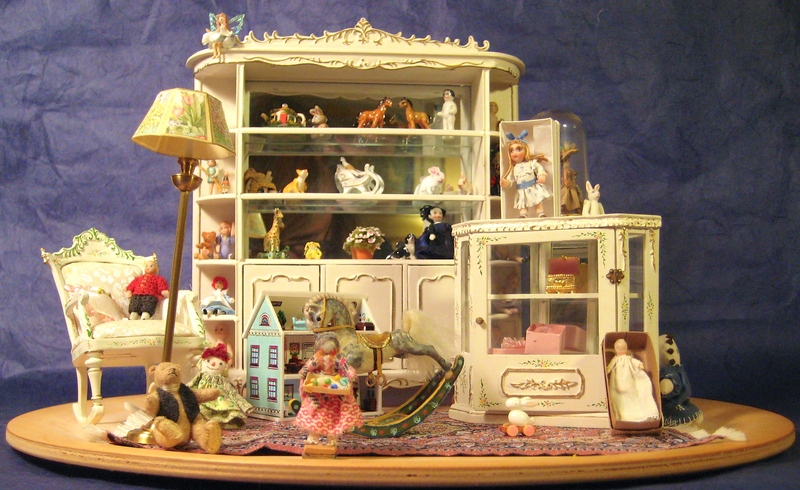 The sleigh on the middle shelf carries a miniature, hand-carved, jointed, wooden doll. The bunnies next to the sleigh are hand-painted velvet. 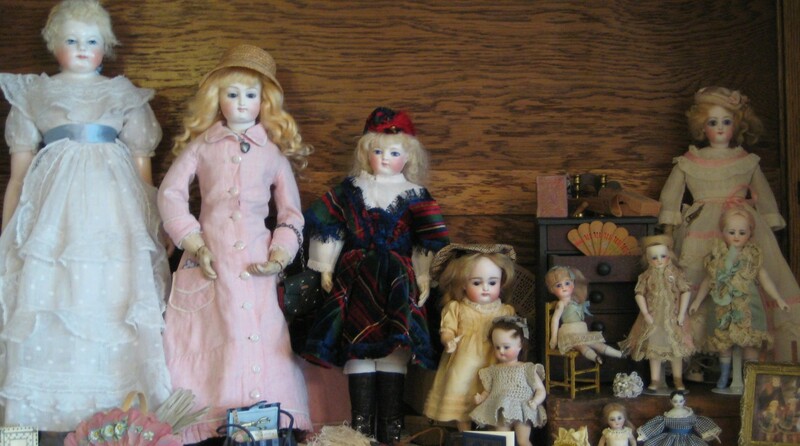 The sides hold a collection of antique and new dolls, including Raggedy Ann and Ann Estelle. A lovely fashion doll reigns on a pedestal. 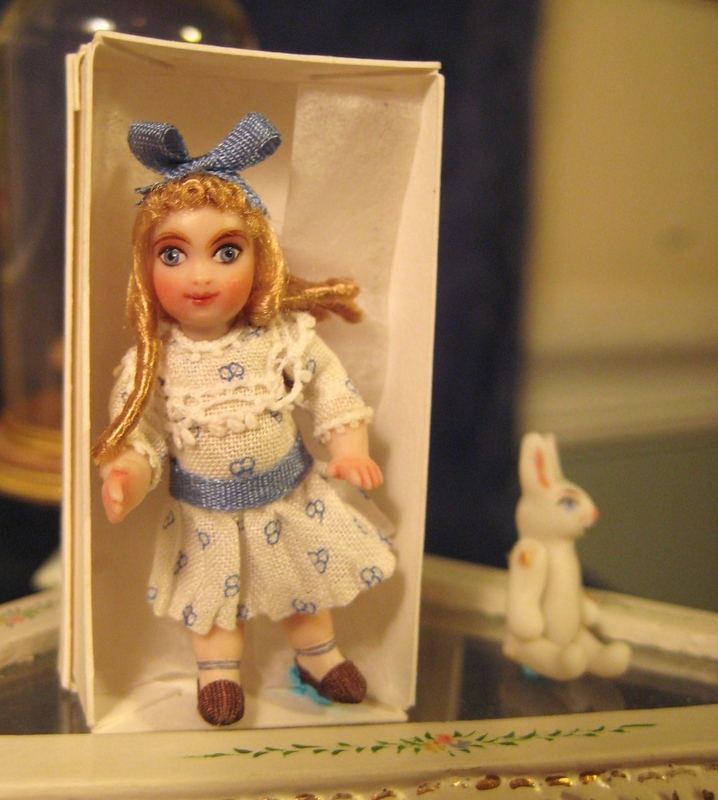 The tiniest doll is only 1/2″ (12 mm) tall. 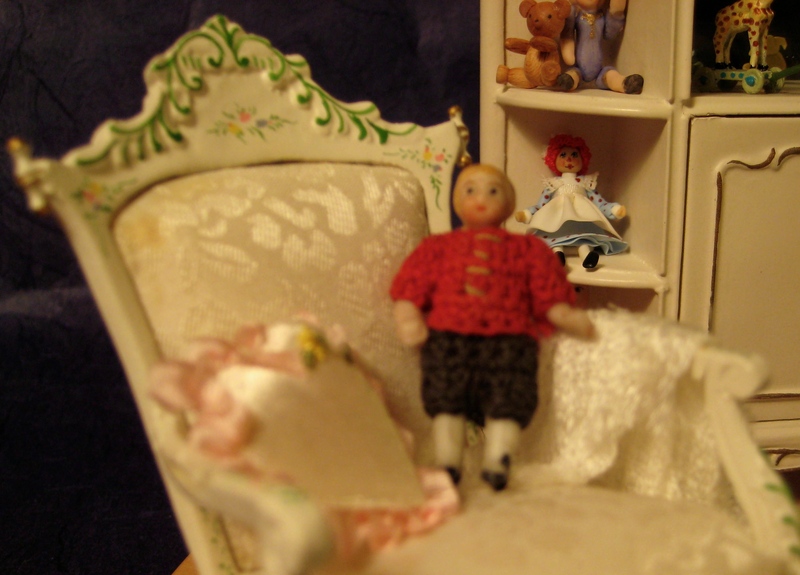 She and Peter Pan are hand-sculpted and painted, artist porcelain dolls. This tiny “Jumeau Paris Bebe”, artist doll wears her signature Jumeau chemise. Her box is appropriately labelled. 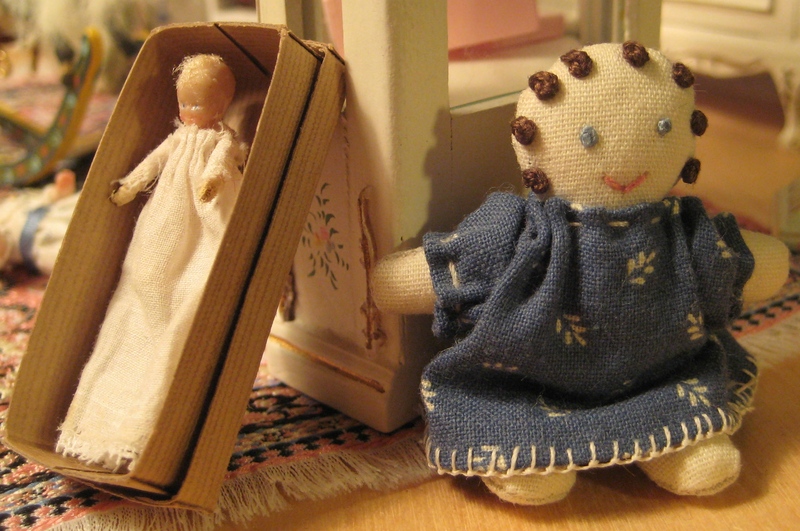 There’s a tiny, handmade baby in her christening gown and a sweet rag doll. 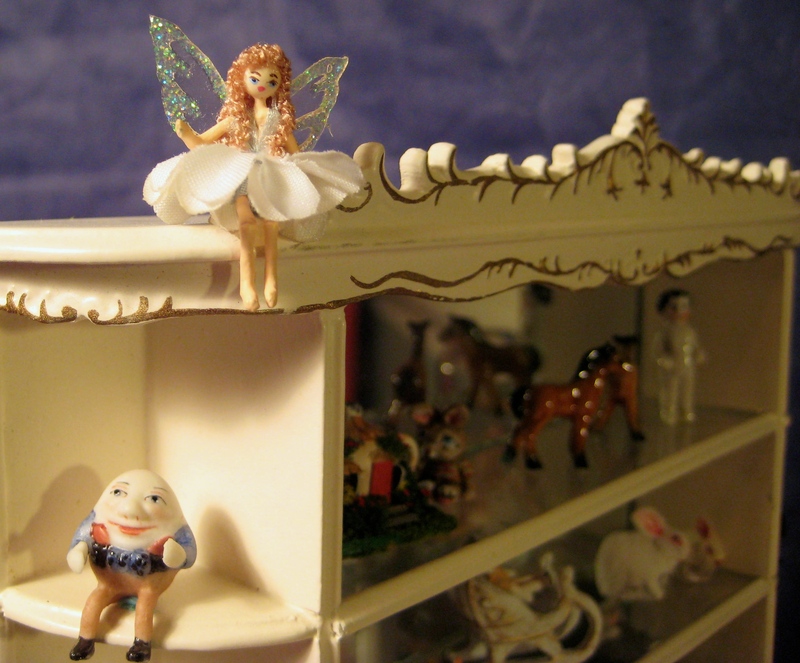 A petite fairy hovers over all. 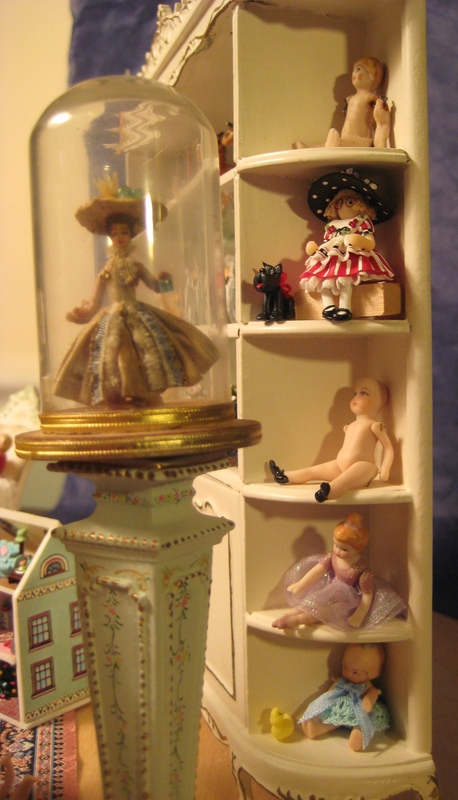 There are several antique, miniature, all-bisque dolls in the display. Some, like this boy, wear their original crocheted clothing. Some of them need clothes. 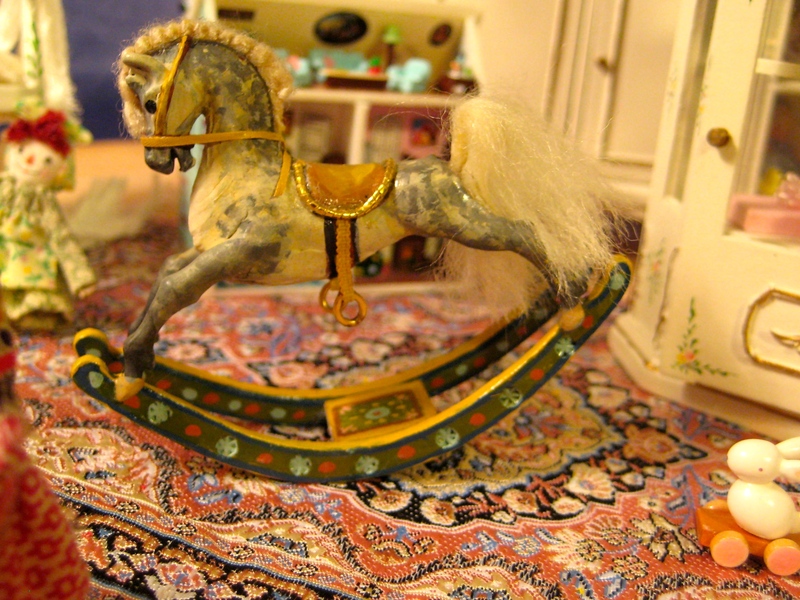 A beautiful, handmade wooden rocking horse is displayed in front of a tiny, furnished doll house. 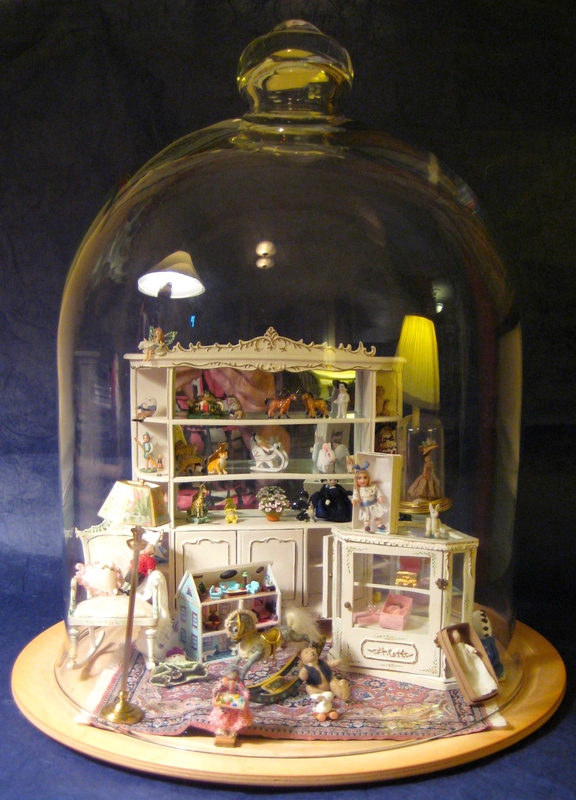 Since the display is near my kitchen and is impossible to dust, it stays under a large glass dome.